Order within 31 hours and 26 minutes to receive your order by Tuesday 23rd April. When looking for that perfect wedding ring it wants to be a ring which has an ageless beauty that similar to love will last forever. The glisten of a wedding ring should speak a thousand words and this white gold and diamond wedding ring does exactly that. This ring has been gorgeously crafted out of 9 carat white gold which flawlessly floats around the finger and fits perfectly. The gold shank is consistently fluent and meets the diamond setting like a match made in heaven. The diamond setting is made up of individual brilliant cut diamonds which are held within a tension setting. The setting of these diamonds keep the ring smooth around the finger. Ring size M. The ring is available in alternative sizes. Please state the size required when ordering. 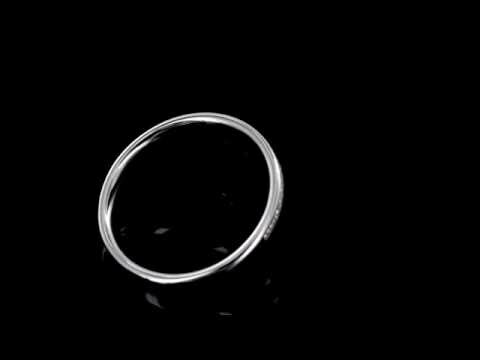 If you should have any further questions about this white gold and diamond wedding ring then please do not hesitate to contact us.